Slack doesn't just want offer its users access to apps. Instead, it has a larger goal: to be a directory, a place where they can go and find the apps that they need and which will be most beneficial to them. To facilitate this, in 2015, the company announced the creation of an $80 million fund, the goal being to give support to developers who want to build their app for the Slack platform, as well as other apps the company can integrate in the future. 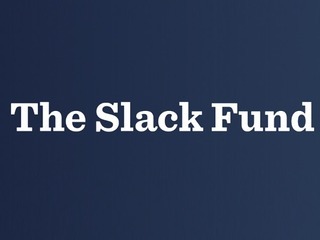 The first batch of investments to come out the Slack Fund was unveiled in July of 2016, and, on Wednesday, the company revealed that it has invested in another 11 companies. "The Slack Fund backs new companies that bring more streamlined workflows to Slack—reducing the small, yet high-frequency tasks that consume chunks of our time," wrote Slack. "Today we’re growing the Fund and introducing new tools you can use at work, with the addition of eleven companies. These teams are reimagining how a salesperson closes deals, reinventing the way we share and access information, and redesigning in-person meetings." "After releasing our Slack bot last January, we have welcomed many mutual customers. Given how much time someone spends in Slack each day, it is clear they have become a destination, just like your web browser. Our bot ensures that you can easily find information you create in Guru without leaving Slack, as well as turn useful conversations in Slack into FAQ’s in Guru for ongoing recall. Based on how well our products work together, we both felt that we could strengthen our partnership and we are excited to be part of Slack’s portfolio," Rick Nucci, Co-founder and CEO of Guru, wrote in a blog post. "Slack’s focus on their partner ecosystem is something that has been proven to work. When combined with Slack, products like Guru create compelling solutions for customer facing teams by ensuring there is a highly streamlined way to capture knowledge from internal subject matter experts." “We’re excited about this new round of investment from Slack as it strengthens our partnership and product integration strategy. Demisto’s integration with Slack helps security operation teams automate tasks and enhances collaboration within the team as well as with other departments like Legal and HR during an incident. Demisto also offers a free Slackbot which helps security teams to inspect all content uploaded to Slack including URLs and Files," Rishi Bhargava, Co-Founder at Demisto, told VatorNews. “Bringing Slack on as an investor is an opportunity to partner with the world’s fastest growing SaaS company so we can deliver critical business insights to the modern workforce,” said Bastiaan Janmaat, CEO of DataFox. “Within 24 hours of their investment, we were given a direct communication channel (a Slack channel of course!) to Slack’s engineering, marketing, and partnerships teams. We now have an opportunity to move in lock-step in leveraging new integration tools and features, to the benefit of the hundreds of business teams already using DataFox’s Slack app," Bastiaan Janmaat, CEO of DataFox, told VatorNews. “At Troops, we always believed conversational platforms were going to be the way of the future, especially when it came to the enterprise,” Dan Reich, co-founder and CEO of Troops, told me. “Once we saw how companies were adopting Slack, it was clear their platform would benefit Troops as a business as well as our customers. Slack is quickly becoming the Operating System of record. We want to be a power application on that OS and they've been a great partner in helping us get off the ground." "Training needs to accessible, engaging, and easily tracked by managers. In short, it needs to exist where team’s spend their time. That’s why we’re excited to be announcing Slack as an investor in WorkRamp. Across every department, we see teams using WorkRamp with Slack to streamline training workflows on the job," WorkRamp wrote in a blog post on Medium. "We cannot wait to see how teams continue to use Slack and WorkRamp to reimagine training — stay tuned for more!" Synervoz: an always-on voice chat platform that helps distributed teams communicate simultaneously. 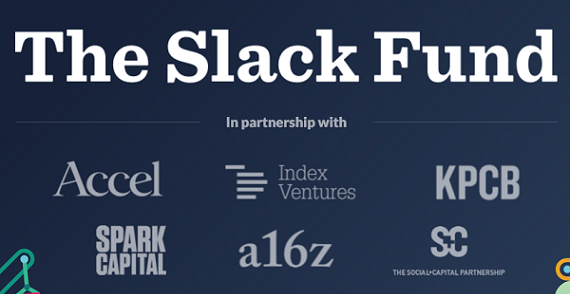 "We are excited to be working alongside other companies in the Slack Fund towards developing the future of work. We see spontaneous voice chat as instrumental in facilitating efficient communications within distributed teams. We're happy that Slack shares our vision in this regard and look forward to sharing insights with them. Our goal is to empower remote teams by knocking down barriers that exist with traditional voice communication platforms," Jim Rand, CEO of Synervoz, told me. Twine: bridges the gap between your conference room and Slack. Plug Twine into your HDMI port then start a video call, share content, or move rooms all without leaving Slack. "We are obviously very excited to partner with Slack. Slack is an amazing platform that truly simplifies and streamlines our workday. Twine extends that experience to your office and conference rooms, allowing you to join video calls, share content, and manage rooms, all without leaving Slack. Being part of the fund means getting to work closely with the various groups and stakeholders inside of Slack to ensure that Twine is delivering the best possible experience we can to our customers," said Anthony Claudia, CEO of Twine. "Directionally, we also want to do things that help create a more robust, integrated platform and ecosystem. Being part of the Slack fund and the family of portfolio companies that are in it gives us the opportunity for rich collaboration and partnerships to accomplish that. I'm not able to disclose specifics/ size of the investment just yet." Donut: helps your team build strong relationships by pairing teammates for coffee (or donuts!) on a regular basis. "We're thrilled to be a part of the Slack Fund as we build Donut to help connect people with their coworkers and their companies. Slack's support and growing global community give us the opportunity to help workplaces feel more connected and productive. We believe successful products engage people where they work, and our partnership with Slack allows us to do just that," said Dan Manian, Co-founder of Donut. Slack had previously invested in 14 bot companies, including Butter.ai, Candor, Konsus, Lattice, Sudo, and Wade and Wendy. With this latest announcement, the number of companies that have received funding has reached 25 in total. The first 14 companies received a combined $30 million, though only $1.97 million of that funding came directly from Slack, with the rest coming from its VC partners, including Accel, Andreessen-Horowitz, Index Ventures, KPCB, Spark, and Social+Capital. For the second batch of investments, Slack did not reveal how much had been invested in total, nor how much it had put into these companies. The companies themselves declined to reveal the amount invested and when VatorNews reached out to Slack for more information, the company also did not disclose any funding numbers. "While we don’t lead any of the rounds, it’s a healthy sum and we play a significant role not only in dollars invested, but also in access and engagement. We're actively looking to make more early stage investments in companies building on Slack's platform in 2017 and expect the pace to continue," a spokesperson for Slack said. "Slack is the place where teams connect with the people and apps they work with everyday, and the Fund is nurturing companies that are building new, streamlined workflows on the platform. This latest group of companies are improving a variety of common work tasks -- from building bots that help with HR team bonding, to creating integrations that assist with sales analytics." 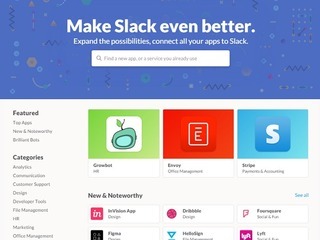 The same day the company launched the Slack Fund, it also announced the creation of the Slack App Directory, a resource for Slack's clients to find over apps for them to offer to their team. The Directory makes it easier to find apps by sorting them into curated lists by category, popularity, and staff favorites. Categories include design, marketing, office management, developer tools, and productivity. The Slack App Directory started out with 160 apps, and has since grown to over 750. Over 6 million apps have been installed on the platform, with 415,000 apps installed per month.